Ultra high performance concrete is a modern creation that is changing the way we look at construction. 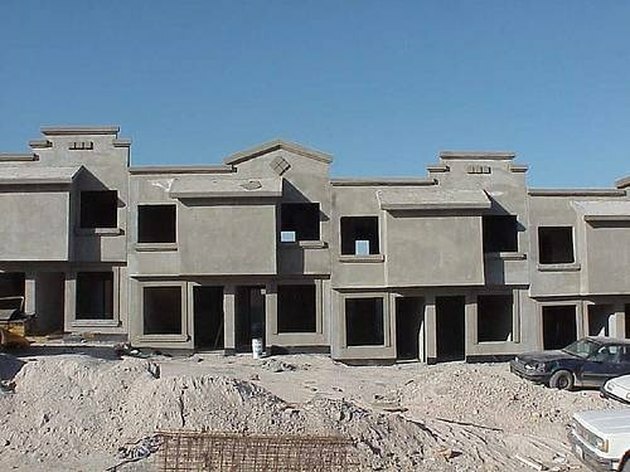 While normal concrete has a strength rating in the range of 3,000 to 4,000 psi (pounds per square inch), ultra high performance concrete has a strength rating many times that. Each new generation of this concrete is stronger than the previous, and the applications of this super strong blend are endless. Using this concrete, structures such as bridges and high-rise buildings can be built of concrete without using steel reinforcements. Although this mixture is designed primarily for use in large construction projects, it is also quite durable to use on a smaller scale, such as pouring a concrete foundation for a home. Concrete buildings can benefit from ultra high performance concrete. Calculate how much concrete you will need for your job. Measure the surface area (length and width) of the area where you will be pouring concrete, and also determine how thick you need your concrete to be. Input these figures into a concrete calculator (see Resources below) to determine exactly how much concrete is required to complete your job. Purchase the amount of cement recommended by the calculator. Portland cement is the standard that should be used when making ultra high performance concrete. If you have difficulty obtaining enough Portland cement to cover your job, you may also mix in other cementitious materials, such as slag cement or fly ash. Determine how much coarse aggregate and fine aggregate you need for your mixture. Making concrete is a delicate balance, particularly if you are going to make ultra high performance concrete. The standard ratio is 11 percent Portland cement, 41 percent coarse aggregates (such as gravel or crushed stone) and 26 percent fine aggregates, such as sand. The remaining 22 percent is a combination of air and water (6 percent air and 16 percent water) in most concrete, but in ultra high performance concrete you need to use less water. Use these figures to calculate how much aggregate material you need to acquire. Mix your coarse aggregate with silica fume. Pour the course aggregate into your cement mixer and add just enough water to get the stones damp. Turn on the mixer and begin to slowly add the silica fume. The amount of silica should be roughly 4 to 5 percent (by weight) of the amount of course aggregate. So if you are using 100 lbs. of course aggregate, you will want to add 4 to 5 lbs. of silica fume. The use of the silica fume alone will increase the strength of your concrete to 15,000 psi. Mix the course aggregate and silica fume for 1 1/2 to 2 minutes. Add your Portland cement to the mix. Pour in your dry Portland cement and then continue mixing for an additional 1 1/2 to 2 minutes. The cement will not become active until the water is added, so at this point you are basically mixing dry ingredients. Add your fine aggregate and the polypropylene fibers. The amount of polypropylene fibers should be roughly equal to the amount of silica fume that was added to the mix. For example, if you added 5 lbs. of silica fume, you should add around 5 lbs. of fiber. Adding the fibers will double the strength of the concrete. Mix these items for 1 1/2 to 2 minutes. Add the water to your concrete mixer. Water is the key ingredient that activates Portland cement. 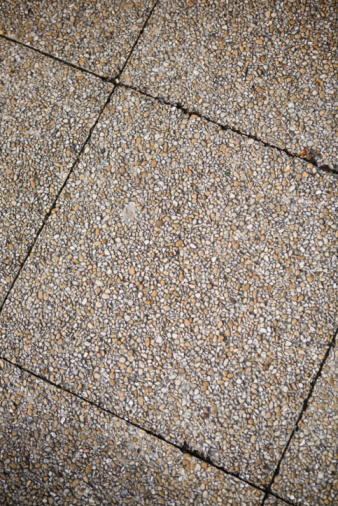 In traditional concrete mixes, the overall mixture is approximately 16 percent water. Since you are making ultra high performance concrete and have already added silica fume and polypropylene fibers, less water is needed. Reduce the amount of water to equal 8 to 10 percent of the overall volume of the concrete mix. Mix the final solution. Mix all ingredients for 5 minutes to blend the water. Allow the concrete to sit for 3 minutes after this initial mixing so that the water has a chance to penetrate all of the ingredients. Mix the ingredients for another 5 minutes and then you are done. You have now made ultra high performance concrete with strength of approximately 30,000 psi.